Have you ever been part of a team that seemed to gel without any forced effort? Perhaps you’ve been part of a team which despite everyone’s best efforts, somehow consistently failed to deliver? If you’re in a leadership position, would you find it useful to be able to increase your chances of putting together a naturally effective team? 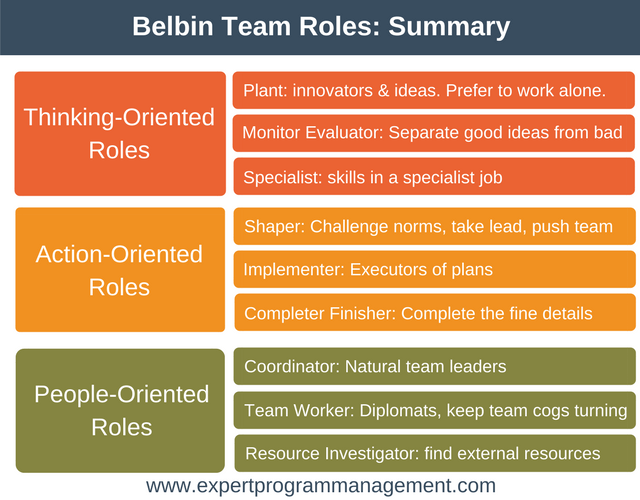 By understanding Belbin Team Roles you can do just that. The Belbin Team Roles enable you to understand people’s preferred behaviour when working within a team. It’s important to realize that we are talking about behaviour and not personality. It’s about how people behave, contribute, and relate to others in a team. 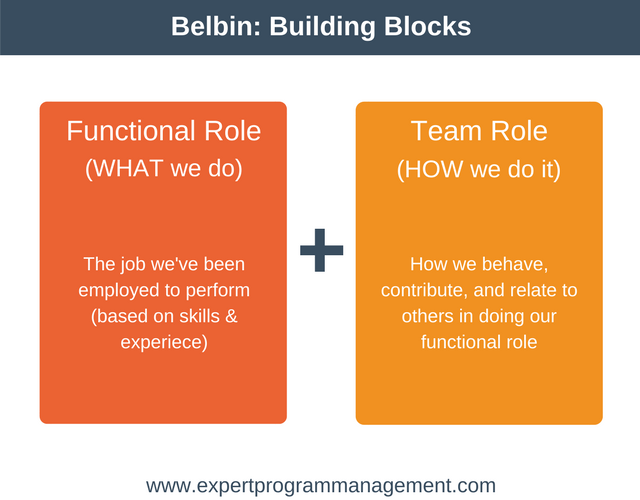 A very simply way to think about Belbin Team Roles is to realize that there are two parts to any job. There’s what we were hired to do, and there is how we do it. It is this second part that Belbin focusses on. As a team member, Belbin allows you to understand your strengths and manage your weaknesses, enabling you to better contribute to the team. As an individual responsible for putting together a team, Belbin allows you to construct more balanced teams. If you were to put together a team where the members all had very similar Team Roles (how they did it) then it’s likely that the overall team would suffer from the same imbalances as the individuals that make up the team. Belbin’s Team Roles enables you firstly to ensure that all the team roles are included within the makeup of your team, and secondly, that structural weaknesses (in terms of behaviour) within the overall team are addressed. Meredith Belbin developed his team roles during the 1970s. His research studied the behaviour of team members from all over the world. The first step of the research was to figure out each participant’s personality type and preferred style of working in a team by performing psychometric tests. With this information, the next step of the research was to put these people in teams of various composition, and ask them to perform complex tasks requiring teamwork. From these experiments 3 different groups of behaviour were identified. Over time 9 distinct team roles were identified (3 roles per group). Along with defining each team role, Belbin also identified characteristic weaknesses that tend to accompany each role. Belbin called these weaknesses “allowable” weaknesses. You can think of these as areas to be aware of and potentially try to improve. Now that we understand the background to how the model came about, let’s define the meaning and preferences of each cluster and team role. These thinking roles are the innovators of the team. Without new ideas a team might run out of steam. It’s these thinking roles that ignite the spark of opportunity. Plants are thinking-oriented people who are the always coming up with new and innovative ideas. Although great at generating ideas they are often introverted and prefer to work alone. Plants love to be praised for their ideas, intelligence, and work, but frequently tend to take criticism badly. Weakness: Have a tendency not to work within the constraints they have been given, such as deadlines or budgets. Can also suffer from generating ideas that aren’t practical. Monitor Evaluators are thinking-oriented people who are great at analysing the ideas and options that others generate. Essentially, they take the ideas from the Plant and then determine which are the good ideas and which are the not so good ideas. Plants are great critical thinkers. Weakness: Whilst being great critical thinkers they tend to lack drive, and lack the ability to motivate others. They can often be overly critical of others. Specialists are thinking-oriented people with the knowledge to do a specialist job, and as such they play a crucial role within the team as there is nobody else with the skills to fulfil their role. Their skills are in short supply and they will jump into action when their skills are called upon. Weakness: their specialism is their strength, but they tend to be not that useful to the team when their specialism isn’t required. It can be said they lack versatility and often don’t see the bigger picture. These action roles are all about the people that get things done. Rather than discuss strategy and the soft issues, these are people who want to get their head down and finish the job. Shapers are action-oriented people who challenge the team to improve. Shapers are at their best under pressure. They are typically extroverted in nature, and enjoy taking the lead and getting the best performance from their team. Shapers enjoy questioning norms and see challenges as opportunities, and they don’t mind being confrontational if necessary to see their dreams come to fruition. Whilst a team full of shapers would constantly argue and get nothing done, having one shaper is a great way to drive a team to deliver. Weakness: Shapers can be argumentative and may hurt the feelings of others. Implementers are action-oriented people who get things done once the ideas are in place. They turn ideas into plans and action. These are people who work in a systematic way and are well organized. These people enjoy getting a job done, and are thus essential to reaching milestones and hitting deadlines. Weakness: Implementers have a tendency to be somewhat inflexible and can be resistant to change. Completer Finishers are action-oriented people who ensure that projects are thoroughly completed. This person is naturally concerned that all the tiny details at the end of a project get done. They can sometimes be thought of as deadline obsessed perfectionists, and they will push a team to ensure that everything gets done on time. Weakness: Have a tendency to worry about getting everything completed on time. They tend to prefer to do things themselves than to delegate. These people roles are all about people who enjoy working with others, either inside or outside of the team. They are usually very good communicators. Coordinators are people-oriented people who naturally take on the role of team leader, and are the one person on the team everyone respects and is happy to talk to when issues arise. They are typically excellent listeners, and are able to recognise the unique value that each team member contributes to the team. The coordinator is the most likely person to step in and coordinate and delegate the day to day activities of the team, even when the team is technically being controlled by a more senior manager. Weakness: Can sometimes have a tendency to offload their own share of the work. Team Workers are people-oriented people who ensure that the team is working well together, and will often sacrifice personal achievement and reward for the good of the team overall. These people are good listeners who ease friction and keep the cogs of the team turning. Weakness: They have a tendency towards too much diplomacy, keeping uncommitted positions for as long as possible and tending towards indecisiveness. Too many Team Workers on a team can lead to nothing getting done. Resource Investigators are people-oriented people who are enthusiastic team members who love to think outside the box. They tend to be extroverted and enjoy working with external stakeholders to help the team achieve its objective. Weakness: They have a tendency to either be overly optimistic, but also have a tendency to lose interest quickly once the initial enthusiasm has passed. You could use the model to ensure you have a balanced team before a project starts. This could mean using it as part of your recruitment process if you have a role you need to fill. You could use it to develop yourself as a better team player. This could mean making a development plan to address your weaknesses. This approach could also apply to individuals with the team, they could be challenged or coached to become better team players using the model. You could use it to manage imbalances within an existing team. This could apply to anything from the induction of new team members to the resolution of conflicts. To get the most out of the model you and the members of your team will need to visit Belbin and pay for each of you to have an Individual Report which will show you which combinations of Team Roles you exhibit. Note that an obviously much cheaper but less accurate way to do this is simply to teach your team all about the Belbin Team Roles and ask them to self-assess which roles they believe are their primary and secondary behaviours within the team. When you look at the overall results of your team you may find that multiple team members share the same role. This is common in teams that do the same job, for example, an IT development team might predominantly be made up of Specialists, Shapers, and Team Workers. Conversely, a team of management consultants might predominantly be made up of Shapers. Aim for a good balance of roles across thinking-oriented, action-oriented, and people-oriented Belbin Team Roles. Alternatively, choose the people best suited to specific projects, for example, Starter Finishers on projects with tight deadlines and lots of details to get right. Match people’s team role to their functional role, for example, use Shapers in a team lead position, use Monitor Evaluators to select how things should be done. Train your team on Belbin’s Team Roles to create awareness of how their behaviour impacts others. Challenge each team member to do one thing better to improve the performance of the team as a whole. Does it make sense for a new team member to be added or replaced to compensate for this imbalance? This is essentially the addition of new blood to make things run more smoothly. Could an existing team member change their behaviour by deliberately adopting a different team role? Could one or more team members improve how they work together to ease friction and resolve conflicts. This can be done by developing personal development plans around areas of weakness. 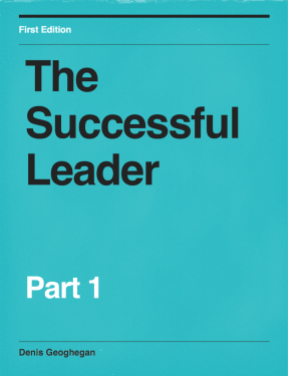 The 9 Belbin Team Roles were developed through the research of Meredith Belbin in the 1970’s. These roles are categorized according to whether people have a preference for thinking, for action, or for working with people. By understanding and using the Belbin Team Roles you can improve how you behave when you’re part of a team, and as a leader you can improve how you put together and develop your teams. If you feel like your existing team isn’t performing, or that there are tensions within the team, then using the Belbin model is a good place to start looking for answers. It’s also a good place to start if you’re setting up a new team to manage a large change initiative.